LOUISVILLE — Ash Wednesday turned deadly in Parkland, Florida, when a lone gunman opened fire at Stoneman Douglas High School, killing 17 and wounding more than 14. Some of the injured remain in critical condition today. The suspect, carrying a semi-automatic rifle, was identified as a former student who had been expelled for disciplinary reasons, according to Broward County school officials. 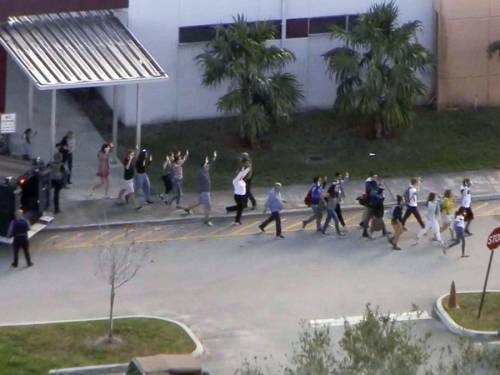 Authorities say the shooting began around 2:30 p.m. just before classes were dismissed. A day after the shooting, the community and its faith leaders are still reeling from what happened. The Presbytery of Tropical Florida released a statement this morning to churches and their members. The presbytery has announced a “Vigil of Prayer and Light” at First Presbyterian Church of Pompano Beach at 7:30 p.m. Friday. Presbyterian Disaster Assistance (PDA) and the Florida Presbyterian Disaster Assistance Network (FLAPDAN) have both reached out to the presbytery to offer support and the presbytery has accepted the offer. PDA will be sending representatives to the area to be at the vigil and worship with churches on Sunday. Bultena says he’s talked with several church leaders who had a personal connection at the school. FLAPDAN Director Kathy Broyard will be among those attending the vigil on Friday evening. Broyard says their first concerns are with the victims and their families as well as churches in the area that might have been affected by the shootings. “We want to stay in contact with the presbytery and offer any support needed. We will also continue our involvement with Florida VOAD (Voluntary Organizations Active in Disaster) since they will be responding to this within their realms,” she said. The National Council of Churches released a statement this morning on the shooting. PDA and FLAPDAN will be offering long-term support to the region as requested by the presbytery. FLAPDAN has also been working with the Presbytery of Tampa Bay on disaster planning and indicates she may offer the same opportunities to the Presbytery of Tropical Florida. Broyard says churches need to be vigilant in preparing disaster plans. To provide support for the region, click here. Kraus has written a prayer following the shooting. It can be accessed here.